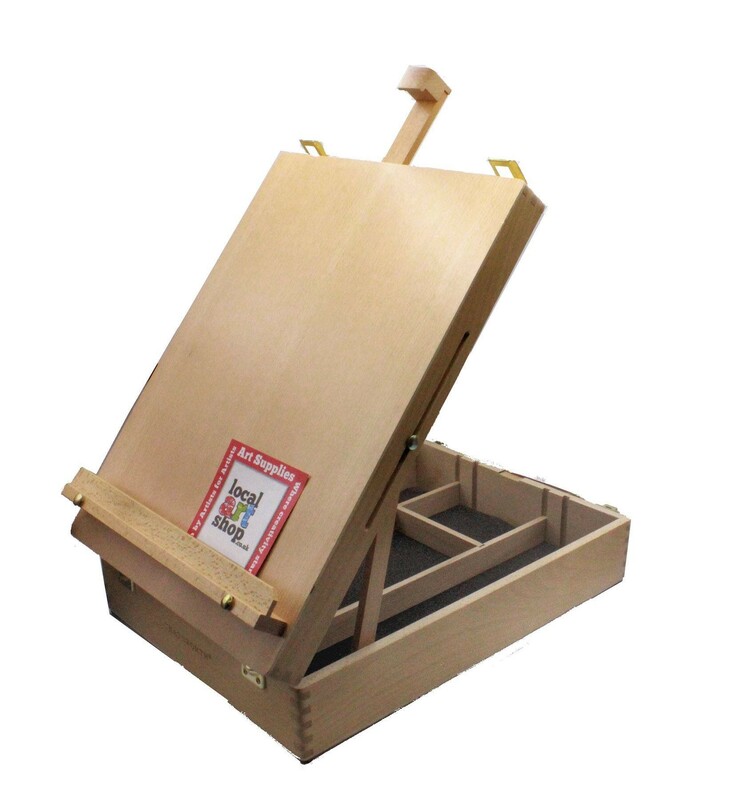 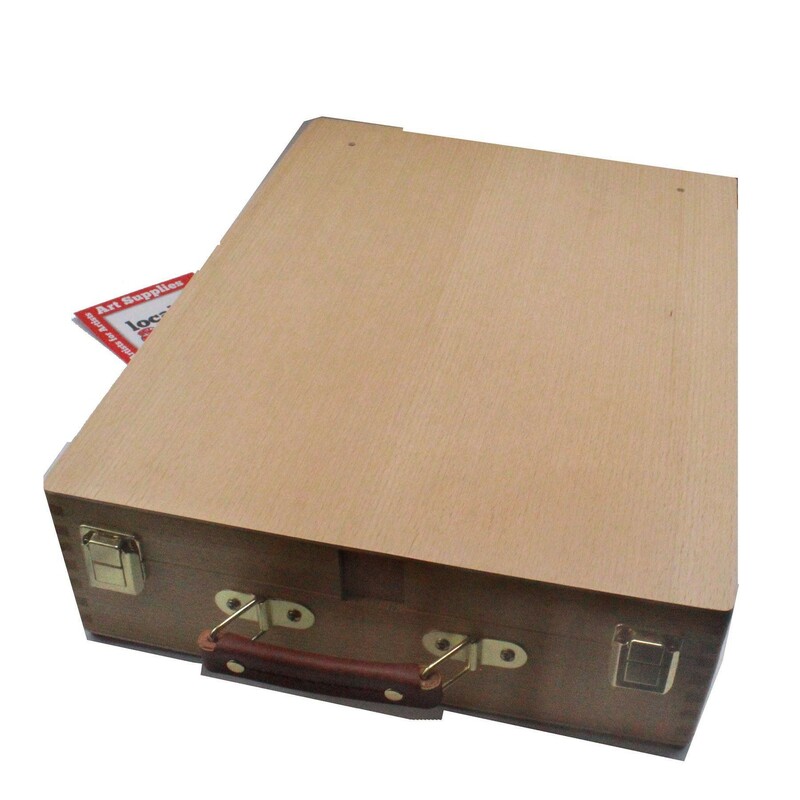 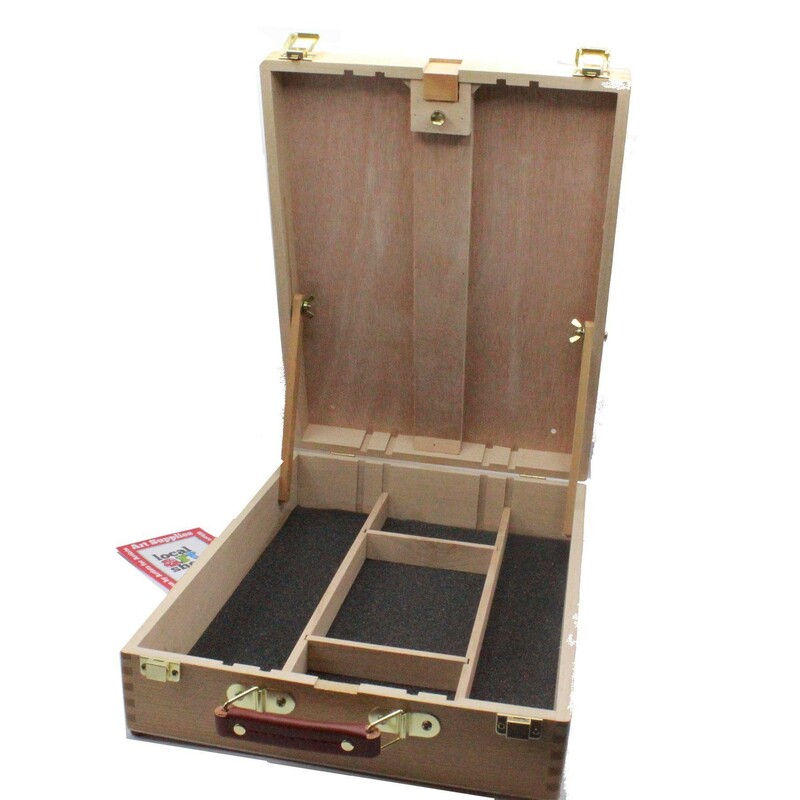 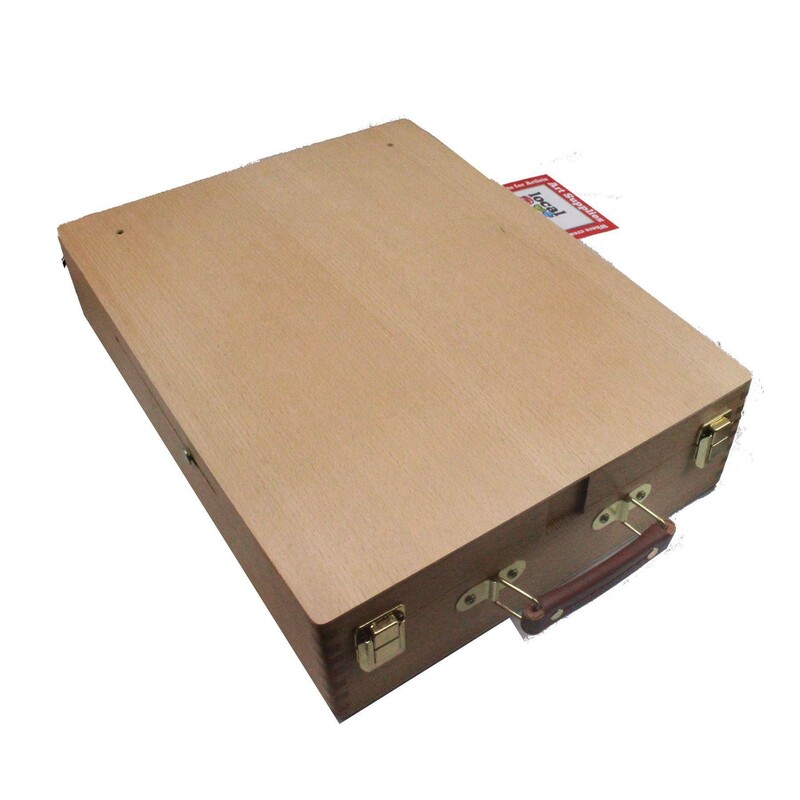 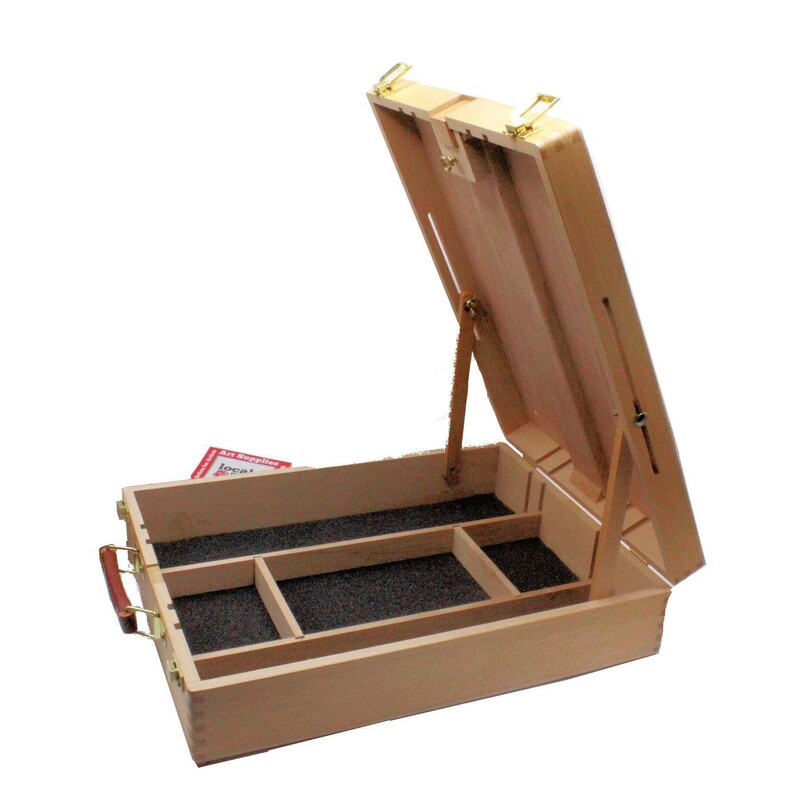 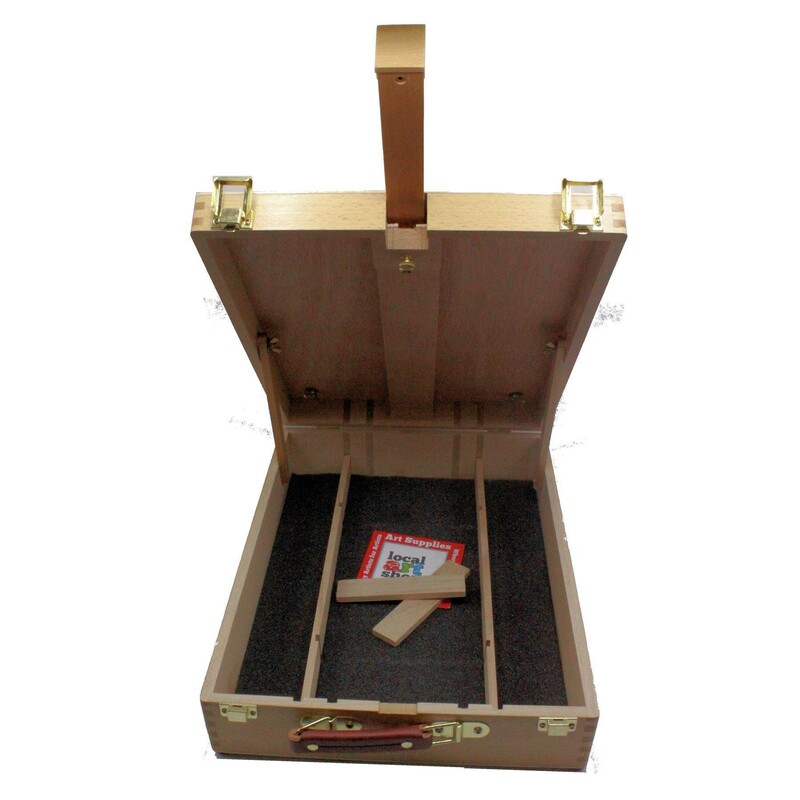 Loxley produce the Chatsworth range of table top easels that can also be used as storage for your art supplies. 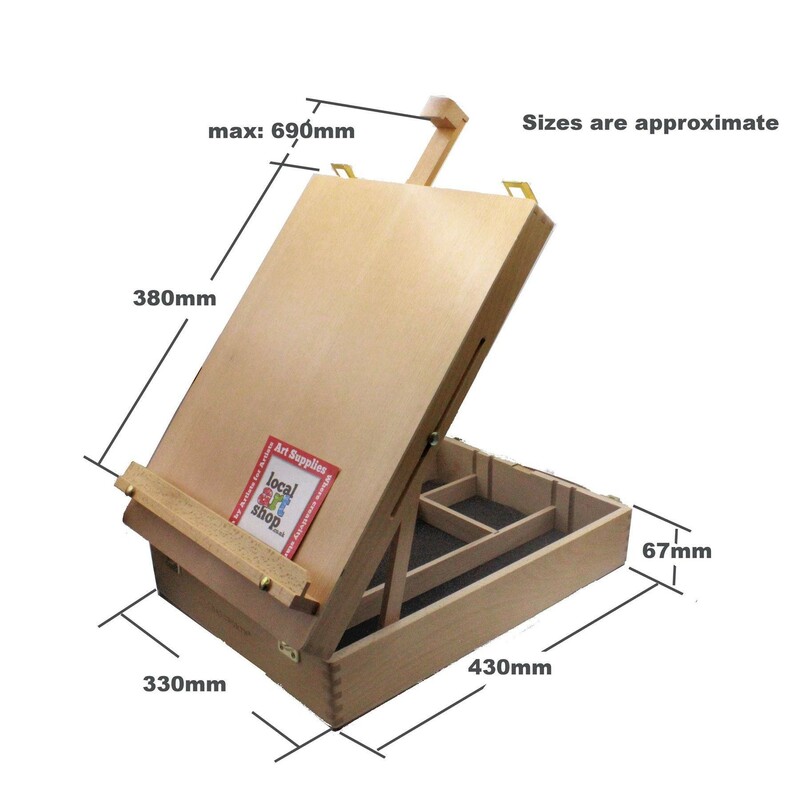 The Chatsworth Duke is the larger version of the range of table top easels, giving you a larger working surface and more storage with a closed box dimension of 17” x 13” x 4” (43 cm x 33 cm x 10.5 cm). 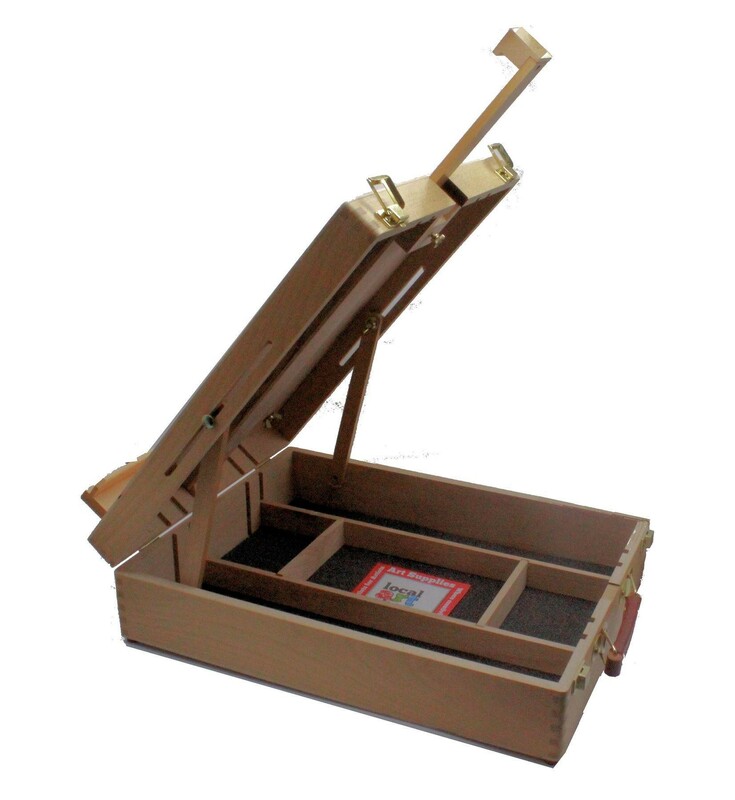 Well worth considering the extra investment over the standard table top easels of this design. 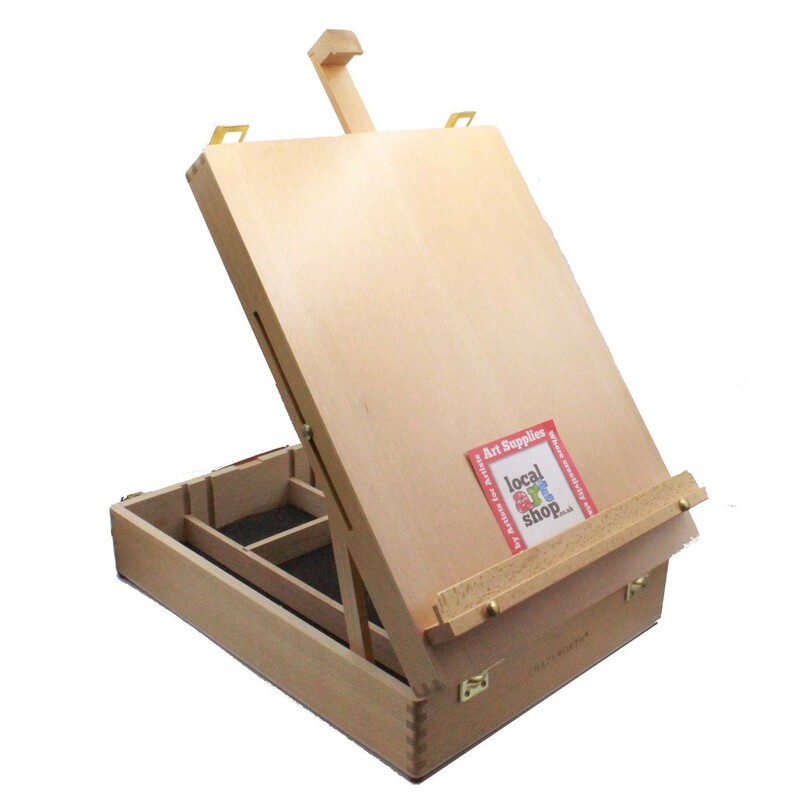 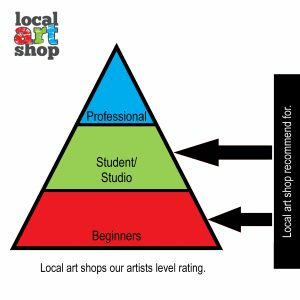 Most artists only increase the amount of supplies they want to carry with them and as they learn they create larger artworks so the extra space comes in handy.